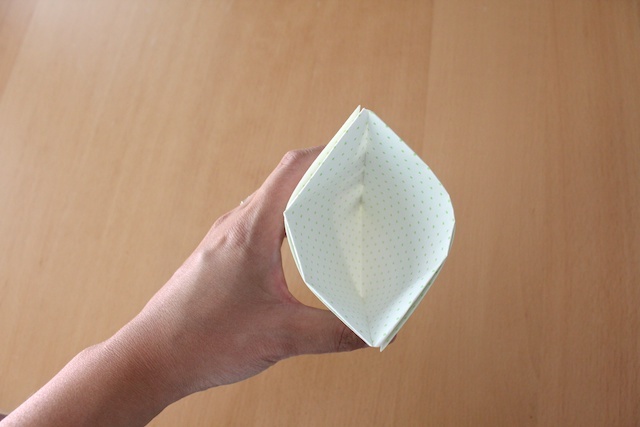 Here’s a simple tutorial on how to make origami cups to use at parties. 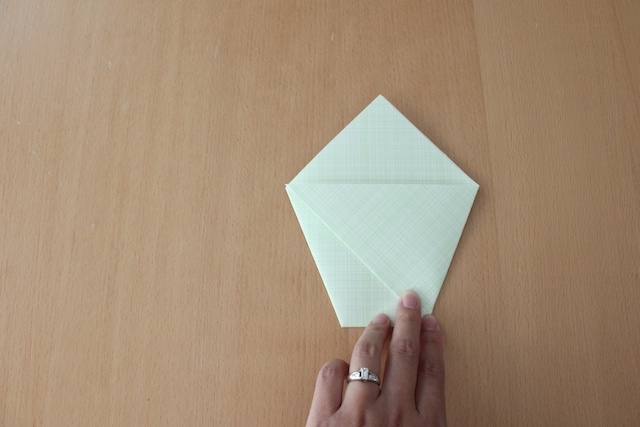 I made four of these to put in the origami candy party pen pal kit. 1. 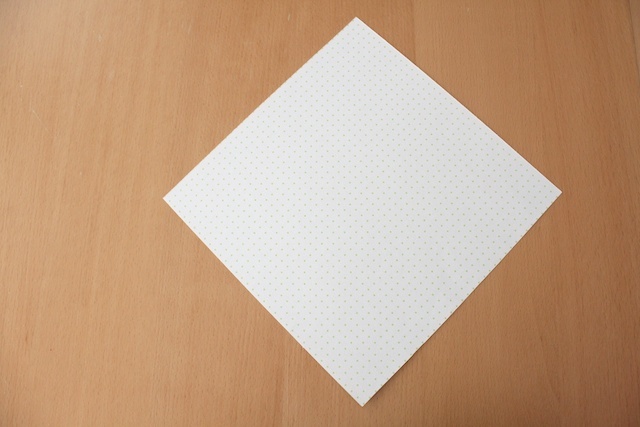 Have the paper on the table with the inside facing up in a diamond shape. 2. 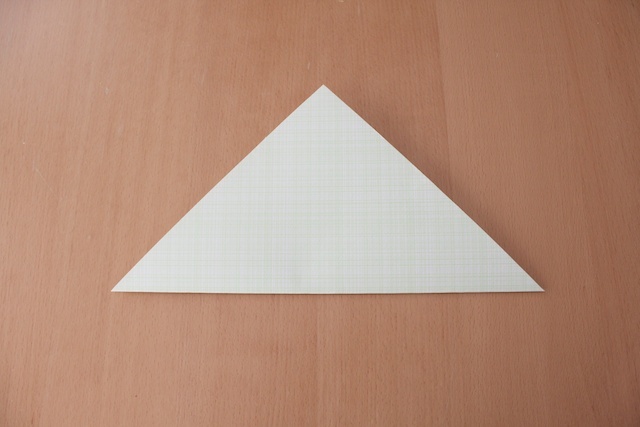 Fold in half (bottom corner matching top corner) so it turns into a triangle and the right side is up. 3. 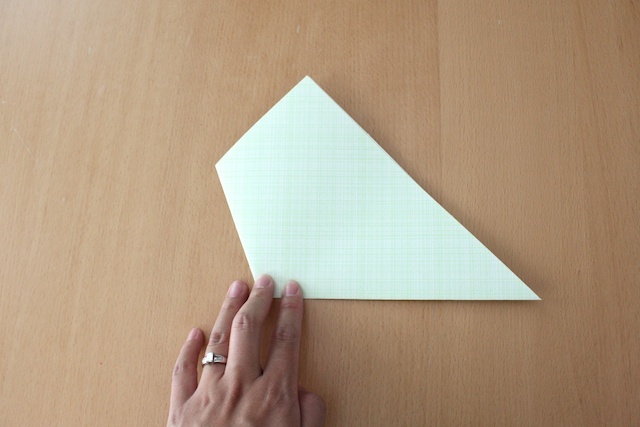 With the opening pointing up, take one of the side corners and match it to the opposite side. 4. 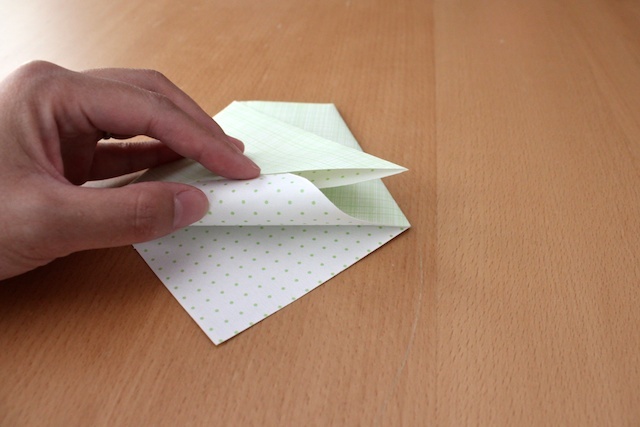 Flip the paper over. 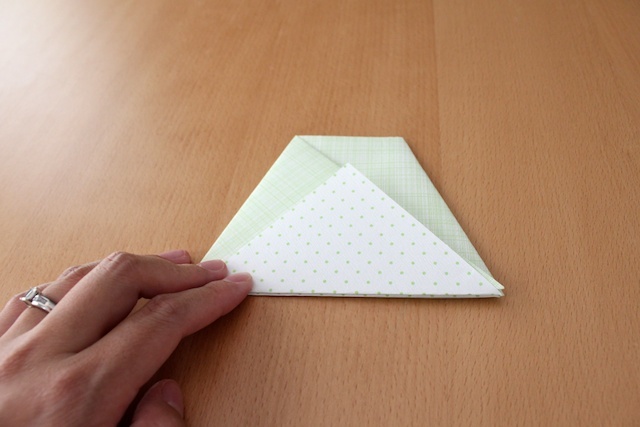 Take the side corner that is still down and fold it to match the opposite side at the corner from the previous fold. 5. 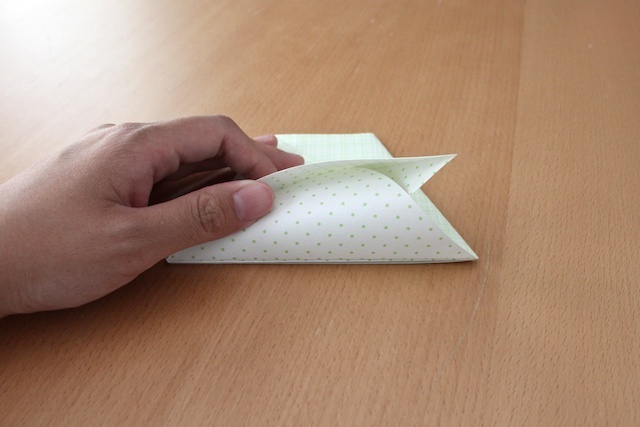 Take one of the opening top and fold down to make a horizontal crease. 6. 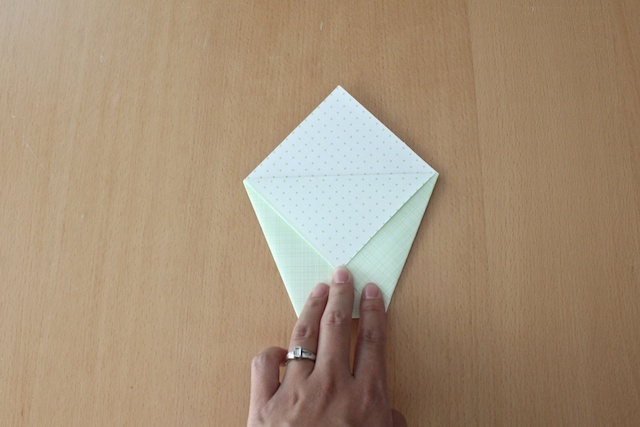 Take that top fold and tuck it into the side folded triangle. 7. Flip the cup over to the other side and repeat steps 5 and 6. And done! 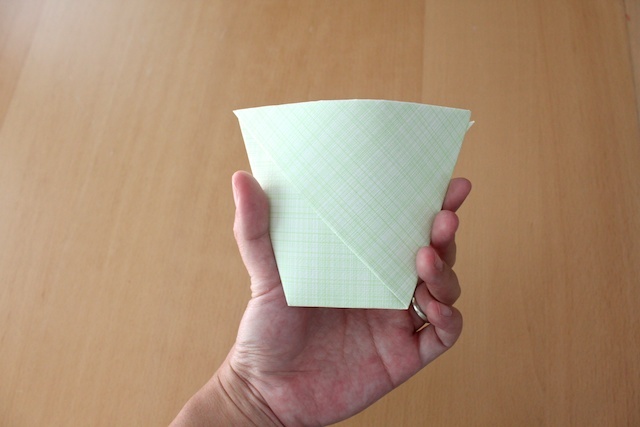 » Tell me… What ideas do you have for these origami cups? Ack!! I so needed to know this! I’m thinking about our last road trip when I forgot to take snack cups and had a hard time sharing the snacks in the car between the four year old & the two year old!! Now I can have a cup if I only have a piece of paper. Thanks! Hey, this is so great! Could you make a tutorial for the lunch bag too? I think it would be really great for little birth gifts. LOVE this!! I’ll have to bookmark it for future use, maybe for dessert cups for Felix’s blessing? Question. Where did you get that gorgeous paper? I love the print!! I remember making these as a child after finding the directions in a craft book for children. It will even serve as a drinking cup as it will hold water for a short amount of time. 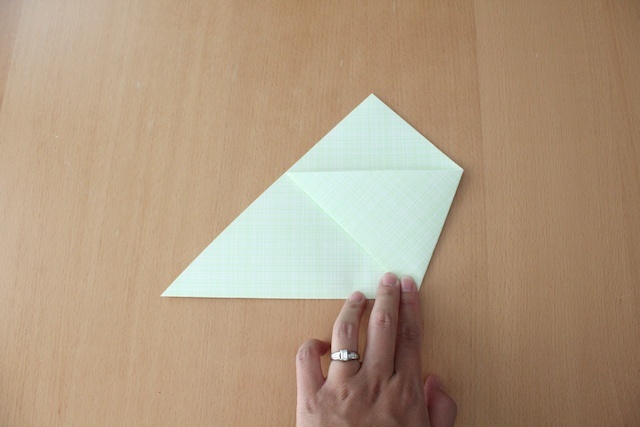 I learned how to make these in fourth grade, and they have been infinitely useful ever since. I use them to entertain my kids at church, divide up goodies in a pinch on road trips (using paper towels), and they seriously even hold water. Love them!